Colorado College is a private liberal arts university in Colorado Springs, Colorado. Perhaps most widely recognized for its unique block schedule wherein students study one course at a time, Colorado College won top spot as the most innovative liberal arts school in the 2018 U.S. News & World Report rankings. 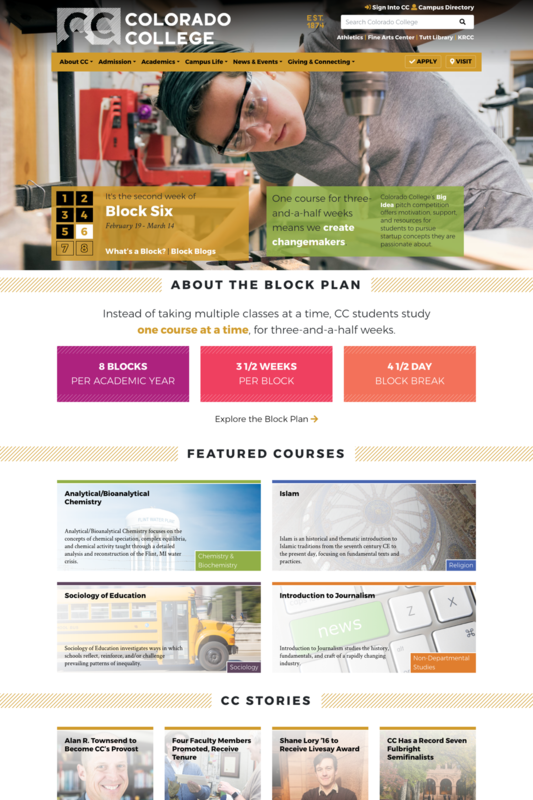 We worked with Colorado College to develop a digital strategy and information architecture for redesigning its primary website, coloradocollege.edu. They needed clear, actionable deliverables to guide in-house development. Together we crafted a plan, and their talented in-house web team took it from there. Right away, we sprung into a structured research phase consisting of surveys, interviews, and analytics review. Our research provided insights into likes, dislikes, perceived competition from internal and external users backed by data from our analytics review. Through a brand clarity survey, we learned that prospective students often perceived Colorado College to be expensive, out of reach, and unprestigious, but the old website changed those individual’s views of the College to innovative, approachable and beautiful. 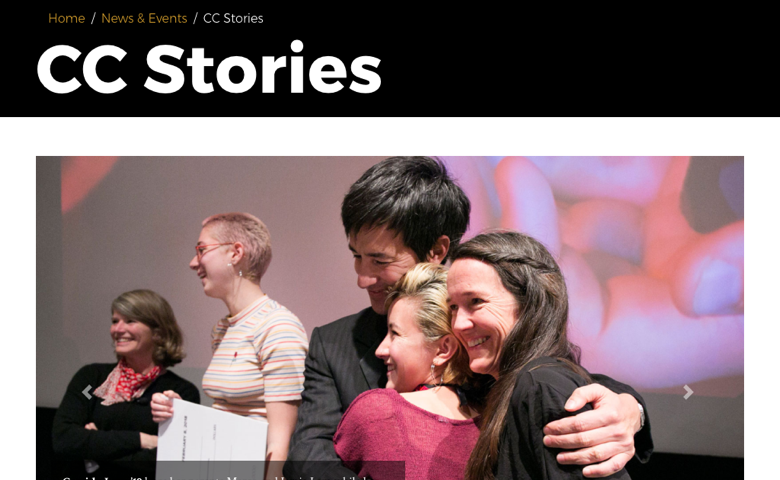 From this, we knew we wanted to push the intelligent, relaxed and welcoming feeling in the redesign while continuing to debunk the misconceptions students have when they first hear of Colorado College. We also leveraged the research Colorado College conducted to shape their Master Communications Plan as a way to clearly define and document their goals. This helped us develop messages that focused on being articulate, authentic, and confident instead of academic jargon. The Core Model Workshop leveraged our findings in the research phase and empowered Colorado College stakeholders to interactively and consciously bridge the gap between users’ needs and the college’s communication goals. 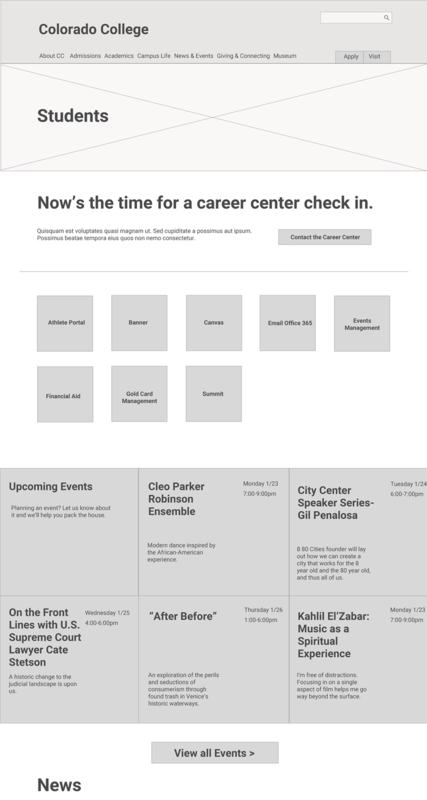 The workshop directly informed design for key wireframes, including the homepage, a department page, and information for current students. A critical output in our strategic digital process was understanding the content that Colorado College already had, and this went beyond taking an inventory. The content evaluation provided definitive details on priorities, status, ownership, and next steps for their content.  Coupled with a card sorting exercise, the content evaluation provided a framework for developing the information architecture. The card sorting exercise provided us with an opportunity to explore both a more traditional organization of content (focused on terms often associated with colleges and universities), as well as a more experimental version (focused on CC’s three key blocks: people, place, program) in a quick and collaborative meetup with their website advisory committee. Through this exercise, we quickly identified gaps in the experiential version leading us to approach the sitemap with a traditional college focus. 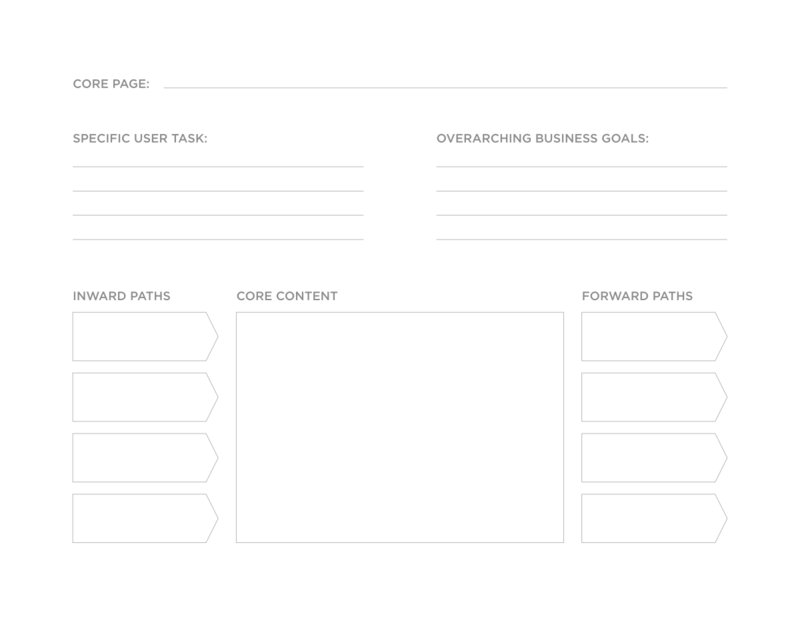 The outcome of the entire process included clearly defined personas, key performance indicators, sitemap, and key page wireframes that set Colorado College up for success in the design and development phases. We continued to work in collaboration with the college’s internal teams during design and development, providing strategic consulting along the way. 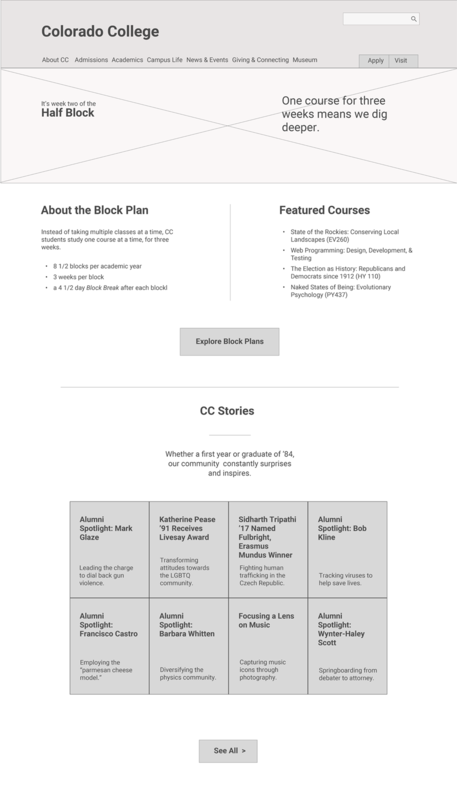 Through our discovery and research process we created a clear and effective strategic plan for redesigning coloradocollege.edu and building the right experience.